I have been listening to tales of people with missing halves, damsels in distress and heroes that need saving. After all, life is difficult. But hey, chin up buttercup. Because one day, you will realise that not all is grey and it is not always raining. You can pat yourself on the back and move along. Pick up the pieces, heal and not feel like a big part of you is missing. There are no black holes and all wounds will seal. The sun will still share light and the night will always be sprinkled with stars that never stop shining. Always remember that the night is never completely drowned in darkness and sorrow exists because there were happy days tasted. And if you look hard enough, you will feel the moon’s rhythm and that is your heart’s constant beating. We are all complete, because we are whole universes all on our own. And you do not need anybody. All you really need is a bit of self-loving. I was lying in bed wide awake and thinking about the different relationships I have or know of. Now, the question is just building a home in my mind because I do not know the answer to let it go. I know that you are probably bad for me. You and your habits, stubbornness and insensitivity. But I guess love is blind and love hurts. Like a moth, I will always be drawn to you. I will always want to go back and feel your passionate touch. Been to this place a couple of times and well, I will never get sick of their shop front. Definitely. It is the only patch of bright green along Tyrwhitt Road and it is sure to cheer you up. It really brightens up the area, that is for sure. I really love how cooling it is even when you are seated on the outside since it has ample shade. It is rare for me to sit in spaces without air-conditioning and not want to leave after an hour or so when I am chilling with my friends with a glass of coffee. 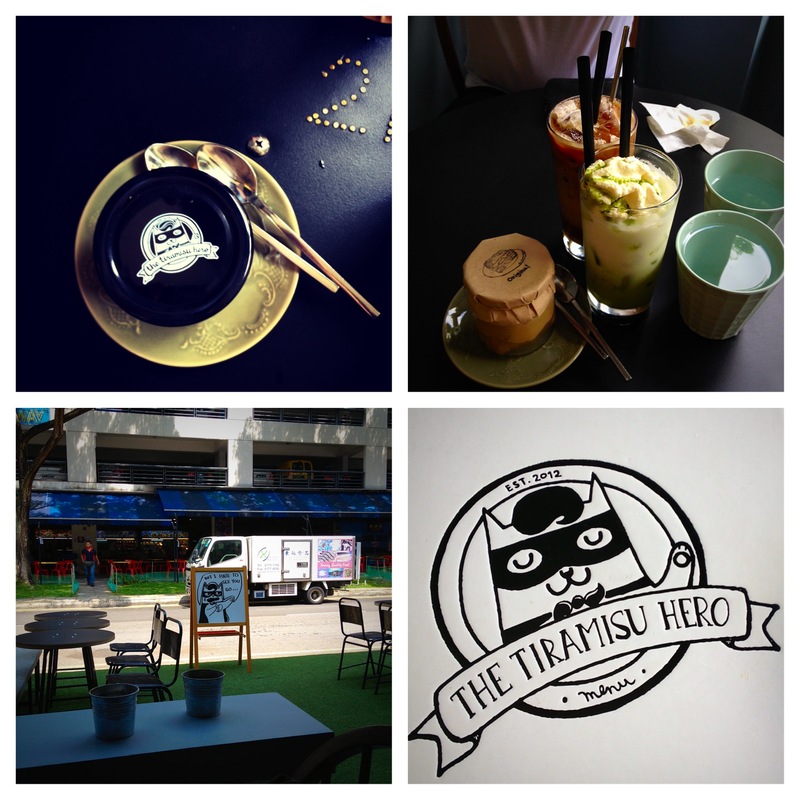 Anyway, as its name suggests, The Tiramisu Hero specialises in tiramisu of all sorts – ranging from original to lemon to strawberry. The variety just encourages you to keep going back so you can keep trying the different flavours. If you are not into tiramisu, there are other treats to try as well as quite a number of options to satisfy your caffeine needs. You will never get bored of the food and drink options, basically. Personally, I am alright with all their flavours except milo. The original is currently standing at #1 for me. I am looking forward to trying the lemon the next time I get there! Festival Heart: Into The Wild. Held at the wonderfully versatile space 72-13, Festival Heart:Into The Wild is the very last show I caught as part of the Singapore International Festival of Art. Since the first show I caught was Disabled Theater, I liked that I am closing the festival events I attended with this showcase. To be more inclusive, open and accessible to a wider audience, Festival Heart: Into The Wild is a showcase done through collaborations between Theater HORA, Association for Persons with Special Needs (APSN) Centre for Adults, Down Syndrome Association, The Y-Stars and Singapore practitioners. The participants went through a two-week intensive knowledge transfer workshop prior to the showcase, and that is to help them explore their potential as well as their artistic abilities. It also bonded them together and friendships were formed, I am sure. Personally, it was so heartwarming to watch them all work together because they are incredibly accepting of one another. No judgments or grudges, just compromise and forgiveness. Occasionally, I will catch myself smiling while watching the performance because my cheek muscles will ache after a while but I kept on smiling anyway. It is just a natural reaction when I am really enjoying myself and was willingly entering the different worlds created by the participants. They were creating magic on an entirely bare stage. I truly love how everything is spontaneous, organic and it exists only in the moment. They listen to their instincts as well as what is happening around them, before reacting and committing to actions on stage that they really feel for and just let things play out. They work together and try to establish the story that they want right there and then. They play. They laugh. They do. And I really admire them for that. There is indeed much to learn from these individuals that have come together for this unique showcase, and I hope to treasure this experience I am grateful to have. This festival has made me seen wonders I never thought I ever would in my life. Thank you so much. I am so excited for the next one. Located at the really new East Village, Time Table Cafe serves coffee and quite a selection of ice cream to anyone that is in that area that wants a change from the usual coffee shops and supper places. The decorations are really fancy and gives off a really high-end vibe, but thank goodness the service is great whether you are in sneakers or in heels. The staff members are really polite and ready to serve, which makes the dining experience really sweet. It is also a huge bonus that there are electrical sockets for customers to use directly under the tables so you can work from your laptops, phones and other devices without worrying about battery life. The prices are competitive and completely affordable. 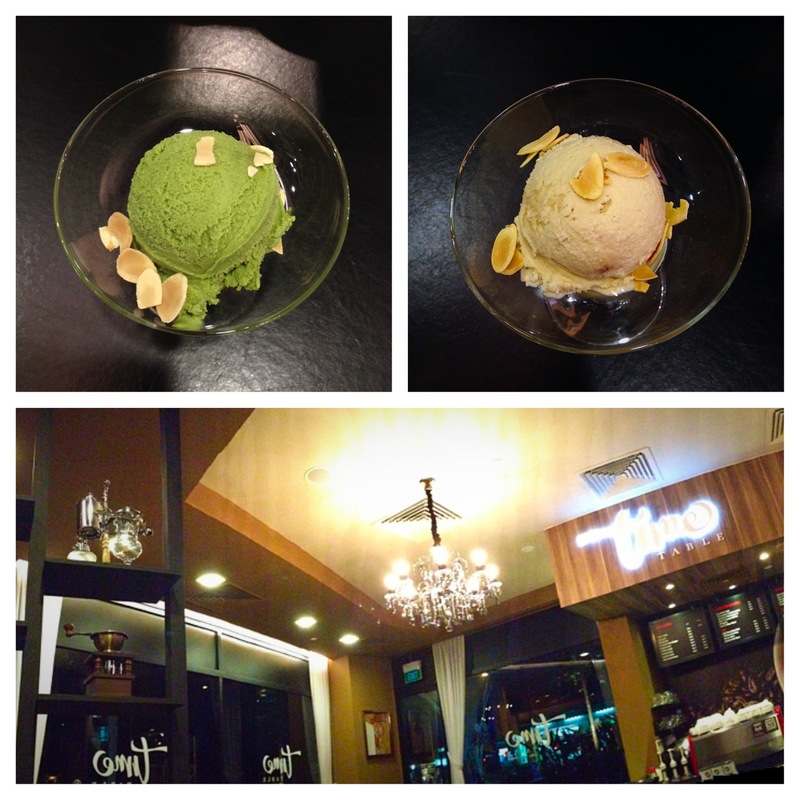 I tried the matcha ice cream and gula melaka ice cream. I quite like the both of them – not too sweet but the taste is strong enough to know that they are not made from artificial flavourings. Heard the americano and lattes are good but I haven’t the chance to try them yet. Planning to do so soon! I am definitely going back there again once I have the time. Who can resist matcha ice cream right? Well, not me. This film is art, without a doubt. I cannot believe that I almost wanted to give this and the entire A Design Film Festival 2014 a miss because of my busy schedule and the fact that most of my appointments are literally back-to-back. Thank you so much to Xin Yi for bringing me along last Sunday. It is just a pity that I only managed to catch one film and not most of the selections this year. 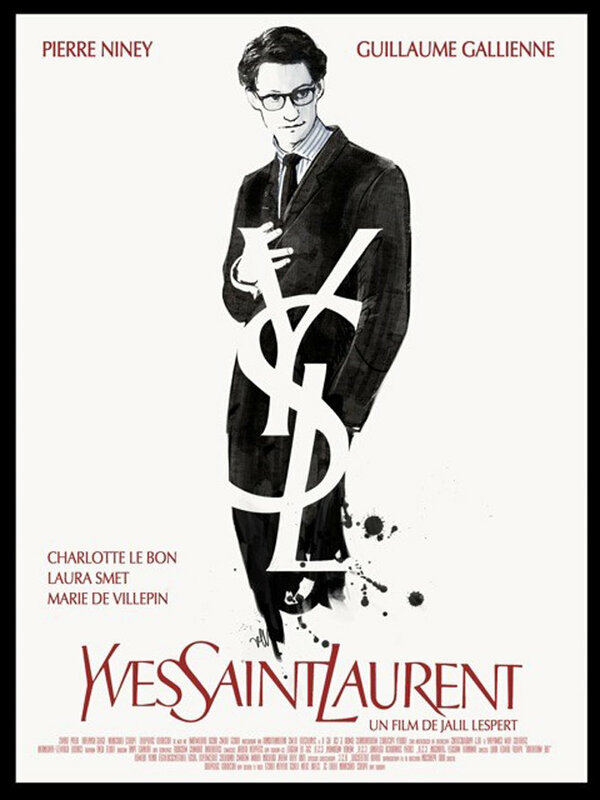 A French biography drama film by Jalil Lespert, Yves Saint Laurent leads the viewers through the journey of the man himself from a young age of 21 as he was assigned to oversee Paris fashion house after the sudden passing of Christian Dior to opening his own after being introduced to Pierre Bergé. The film revealed the ugly, the highs and the every day life of the legendary icon of fashion through the perspective of Bergé. I was pleasantly surprised by the level of honesty and how much the film actually revealed. Maybe I expected way more details to be kept under wraps and everything to be all glamorous. But of course, more details and events could have been shown since there are many reviews that it is lacking in substance and having just style for such a film is not enough. After all, many of us would love to explore the fashion genius’ mind further and to discover hidden secrets just so he appears less mysterious and more ordinary. I beg to differ though. I really appreciated the honesty and the focus on the emotional journey instead of just one that is achievement driven. I was really captivated and invested in the atmospheric world from start to finish. And I think that adding more content would have made the film too tiring to watch as there would inevitably be an overload of information to absorb in a short span of time. Besides the content, I enjoyed the execution of the film itself. The use of tinted lighting, natural sunlight and slight graininess of the whole film really brought me back to the sixties. To me, that made the film believable and really beautiful together with the choice of outfits – cutting, patterns and colours. The music was a wonderful touch as well, since the scenes flowed seamlessly in terms of the mood and setting. Lastly, there were many lines that resonated with me and even now, I can still hear the voices of the actors in my mind with the scene playing again and again and again. Complete with the glazed over eyes and the breaking of the voice as his lip. His face bruised and tired, just like his heart. So yes, it was a great experience and I felt many emotions while seated in my seat in the cinema. I guess this film will have a special place in my heart for some reason and I am unable to describe or justify why. I am definitely going to try and keep my schedule free for the festival next year. Looking forward to the selections and feeling inspired, touched and thoughtful all over again.